Robert L. Nolan, 69, of Gillespie, IL, died at Memorial Medical Center, Springfield, Il on Sunday, January 13, 2019 at 8:06 am. He was born September 24, 1949, in Litchfield, IL to Lee Roy Nolan & Anna (Briskovich) Nolan. He married Frances (Olmsted) Valenti Nolan on May 14, 2005 in Gillespie, IL. 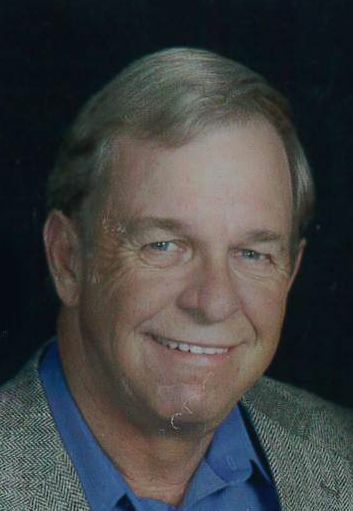 He was a truck driver for Georgia Pacific. Robert was a Sgt. with the US Army after having served during Vietnam. Robert was a life member of the VFW of Staunton, IL. He is survived by his spouse, Fran Nolan of Gillespie, IL, children, Jennifer (Mark) Griffith of Springfield, IL, Craig (Melissa) Nolan of Staunton, IL, Melissa Nolan of Staunton, IL, Kelly (Keith) Meyers of Staunton, IL, David (Ciera) Valenti of Bunker Hill, IL, grandchildren, Bradley Libbra, Karlie Libbra, Jacob Griffith, Morgan Nolan, Taylor Nolan, Lauren Ocepek, Lucas Ocepek, Kailyn Meyers, Kayce Meyers, Wyatt Valenti, Amelia Valenti, brother, Charles Nolan of Beverly Shores, IN and mother in law, Elsie Olmsted Baldridge. Robert was preceded in death by his parents, step parents, Lawrence and Mildred Coatney, sister in law, Phylis Nolan, son, Michael Valenti, and sister, Sherril Nolan. Friends may call on Wednesday, January 16, 2019 at Kravanya Funeral Home in Gillespie, IL from 5:00 pm until 8:00 pm and Thursday, January 17, 2019 at Kravanya Funeral Home, Gillespie, IL from 10am -11am. Funeral services are Thursday, January 17, 2019 at 11:00 AM at Kravanya Funeral Home, Gillespie, IL with Brother Jared DePoppe officiating. Graveside services will be Thursday, January 17, 2019 at 2pm at Camp Butler National Cemetery, Springfield, IL. Memorials are suggested to American Cancer Society or Leukemia and Lymphoma Society. Anyone wishing to send an online condolence may do so at www.kravanyafuneral.com. Kravanya Funeral Home, Gillespie, IL is in charge of the arrangements.